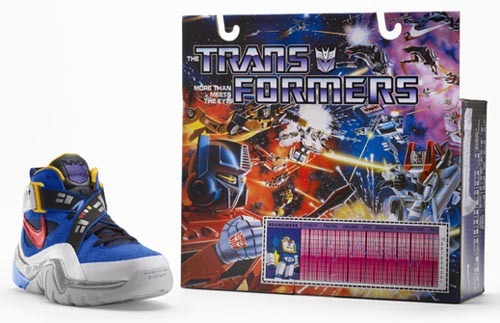 As all good marketing wagons, someone is trying to make as much money as they can out of the rising popularity of the 90’s cartoon (and recent films) Transformers. 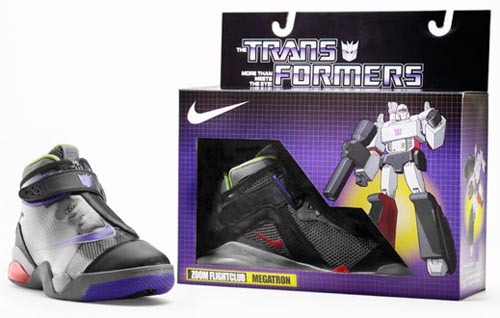 Later this year expect a few limited edition Nike Transformers Sneakers (How do you like those American Apples!?) to appear in stores, or more than likely on eBay.